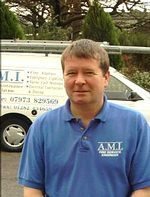 AMI Fire Protection Ltd was formed in 1994 by me – John Butterworth. Originally a time served electrician, I have been installing and servicing fire alarm equipment since 1978 and I was the NICEIC qualifying manager at AB Fire Prevention since 1981. AMI Fire Protection Ltd still maintain the same standards whilst keeping abreast of the current technical developments in fire alarm equipment. My team of qualified electricians are always on 24hr stand-by to answer any emergency for all AMI‘s maintenance contract customers. as well as many Nursing & Residential Homes, Small/Medium sized businesses and factories. Call us on the displayed numbers or complete this short form and we will contact you.